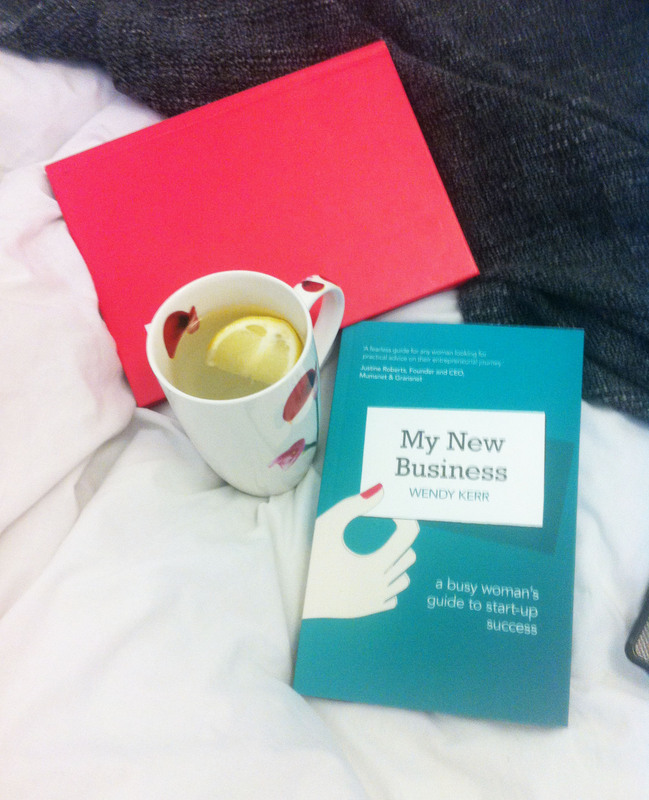 Are you one of those people like myself who constantly have business plans and so called ‘great ideas’ but never put them into practise? Sometimes, they don’t have to even be great ideas. If your anything like me, you’ll find yourself telling yourself that you’ll one day be your own boss and run your own little business. 3 years later, you wonder why you never but any of it into motion. It’s currently my favorite Sunday read. 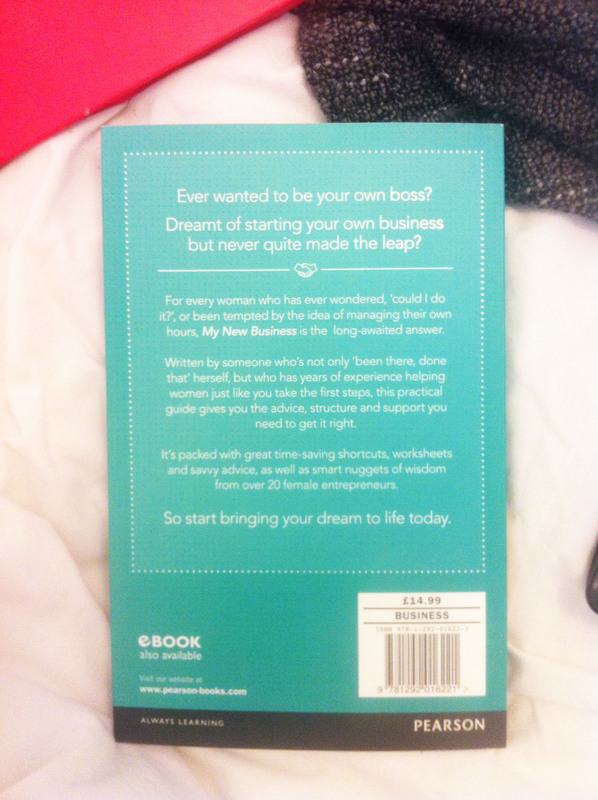 If you dream of starting your own business but need help, advice and support, then look no further than this brilliant read. The author has been there and done it, and offers guidance to the other women out there in the same position. 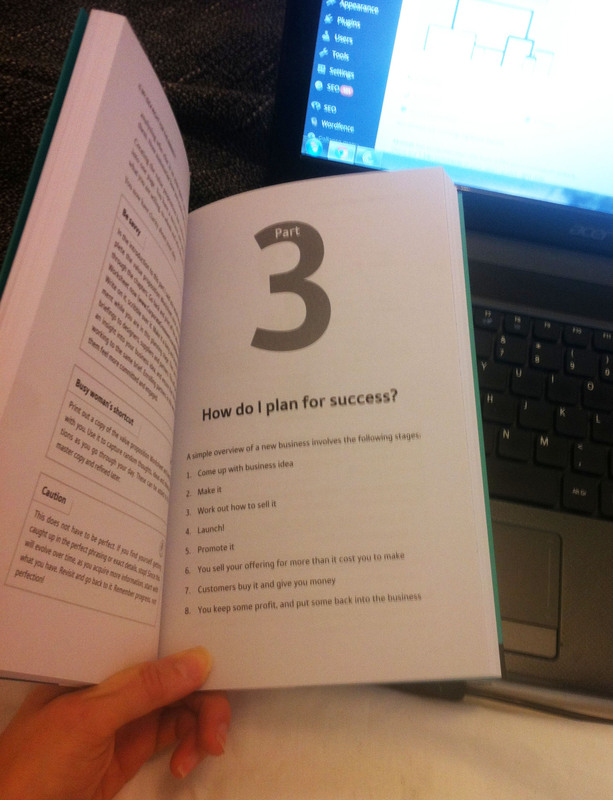 Covering the first steps, time-saving short cuts, worksheets and savvy advice, it’s a must-have guide for the over 20 female entrepreneurs. “A fearless guide for any woman looking for practical advice on their entrepreneurial journey.” Simple, but really sums it up. For me, it’s an essential read for those with dreams and aspirations, and need that extra bit of support and help. Book is published by Pearson. OK so this weekend I have over indulged in cake. It’s like I have this ridiculous sugar craving I try and suppress during the week, then every now and again it comes out and I sugar-binge all weekend. That’s exactly what I’ve been doing with the cake I got for my sisters celebration! 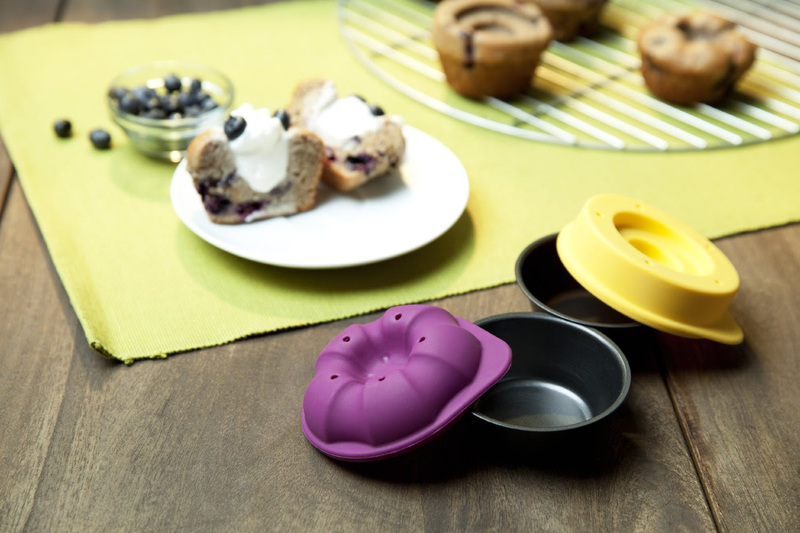 But it has encouraged me to get my bake on in my apartment too, and I have to say I am inspired by these little baking gadgets from gift site Find Me A Gift. 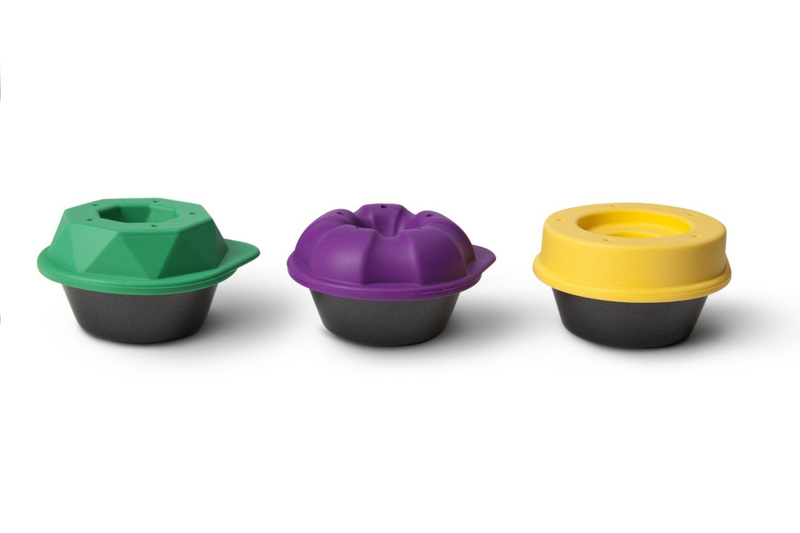 These Quirky Bake Shapes are from another gift site, The Hut, at £12.99, and are the perfect baking moulds for your muffins, to get that little dimple on top that you can fill with cream or whatever you wish! Whilst on the topic of gift sites, I have a couple of friends who are graduating soon, so I’ve been looking for a present idea which symbolises adulthood and stepping into ‘the boring grown up world’. And baking items represents this a little, right? You can get more info about graduation gifts here. I have to admit since coming home from Australia I’ve been more interested in eating and sitting around on my bum than hitting the gym like I used to. It’s obviously the culture difference between the two countries – Australia has a healthy lifestyle where everyone focuses on fitness and body shape, where as in England, it’s all about nights in wine a bottle of wine and a takeaway. I personally find Amazon UK the best place to shop for fitness products like weights – you can get some really good deals! With postage, these cost me £12 which I find quite reasonable, and you can chose from a large variety of colours. I was recently emailed about a book launch which made me giggle – it was entitled ‘Mr Wrong’. I do have some friends who date ‘Mr Wrongs’ – and some are very much tied down to Mr Wrongs for life god forbid – so this book did make me think of a few people I know! The author, Daniella Blechner, touches on her decade of dating ‘Mr Wrongs’, and shares the stories of other women who too have been in the same situation. These horrific ‘Mr Wrong’ stories are insightful, frank and hilarious accounts of why you should ditch a Mr Wrong and try to claim a Mr Right. If you have a group of single friends or ‘mates who date’ and often have funny stories from it, then this could perhaps be a potential Christmas present for these ladies?! I was sent a PDF version of the book so I could take a read myself before being able to recommend it, and I do have to say it’s a real delightful read. It highlights everything from ‘Mr Serial Liar’ to ‘Mr Loose Eye’ (how funny is that one? Loose eye… I bet there are a few of them knocking around). A great read from a great author. I have a number of single friends, and with their birthdays coming up, I feel this is a brilliant tongue-in-cheek gift for them (the ones who can have a giggle at their situation, or it could rock a few boats). So that’s my weekend activities all covered. Now it’s time to enjoy the upcoming week. Have a great one everyone! Thanks for a lovely review I’m glad you enjoyed the book.